Getting on top of the Google search results is a game of survival. You have to keep up with the search engine giant’s algorithm updates or else, you’ll be dethroned from that rank you’ve worked so hard for. If search engine optimization (SEO) is still a mystery for you, we compiled these infographics to help you understand this marketing discipline a little more. Are you doing the best SEO practices for your business? Aside from the factors that will help you rank on Google, Dot Com Infoway also presented promotional strategies you can do for your business. Any online business should put a great deal on building a website that gives valuable and relevant content to their market. This Mad Lemmings’ guide for writing content shows us how to create content that makes Google happy. With so many references about SEO, it’s sometimes a struggle just identifying which one to follow. What’s no longer effective? What technique should be on top of your priority? If something you read online becomes confusing, just look at this SEO do’s and don’ts infographic from VerticalResponse. This checklist from Capsicum Mediaworks listed down on-page and off-page SEO techniques. If you’re a beginner, it’s pretty much everything you should know and implement to make your website survive in the search engine jungle. Optimizing your website requires a lot of attention. 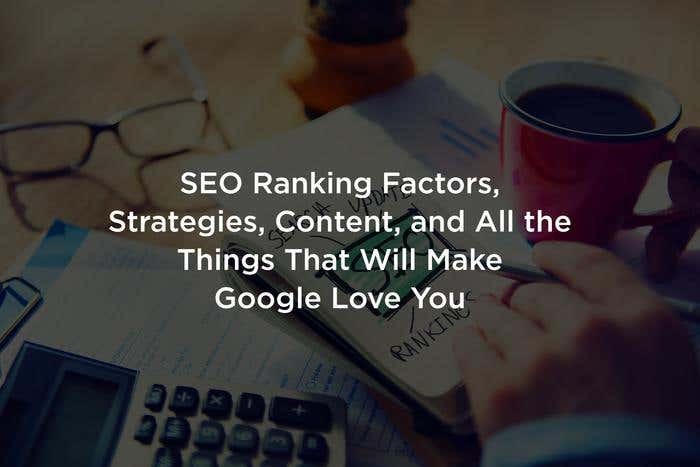 Now if you don’t have the time to do all the stuff mentioned in the infographics above, you can hire an SEO expert to give your site the success you’ve always imagined.